Are you getting very low traffic in spite of the many unique posts you have? Your website speed may be influenced by a number of facts like page speed, theme, keyword research etc. No one will wait for any webpage more than a few milliseconds even though how much precious contents they are giving. If your blog takes a long time to load the entire contents, visitors will leave to some other site having similar posts. It will increase your bounce rate and reduce your search engine rankings. Our pages may contain images and even multiple in lengthy posts. They make our contents more attractive and engaging. But at the same time, consumes a significant portion of your page loading time also. 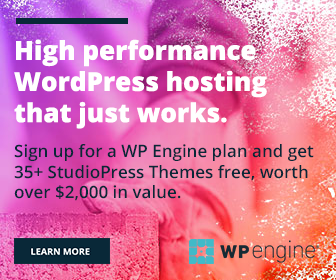 Lazy load plugins are great tools to improve the performance of your WordPress website. It works with not only images but widgets, videos, social icons also and forces them to load only when they need. However, the plugin doesn’t leave your site any time as blank. Readers will be able to see any graphical content according to their scrolling down, without any delay. More awesome is that, 90% of these plugins are easy and free to use. Awesome. Isn’t it? These are the 8 best lazy load plugins that are usable wide across the net for different purposes- for images, videos, comments and more. BJ Lazy Load is one of the most trusted lazy load plugins to speed up your WordPress website. It works well with images, post thumbnails, gravatar images, content iframes, and text widgets. Embed videos is another part where you can utilize the power of the plugin. It is light-weight and can bring positive changes in your page speed and number of user visits. Rocket Lazy Load is another leading lazy load plugins for WordPress. It will work will all types of images, post thumbnails, video thumbnails, widgets, avatars, and smileys. The plugin uses a tiny lazy load script that weighs less than 10KB instead of jQuery. It reduces HTTP requests and improves your page loading time in an exact way. Crazy Lazy is a simple lazy load plugin for WordPress users. Just install and activate. That’s it. There is nothing to configure with the plugin. It lazy load your images and shows them only when the user scroll down the page and reaches the image position. Disqus Conditional Load lets you lazy load Disqus comments in WordPress posts and pages. Similar to the lazy loading of images, it will show comments only when the users reach near to them. The plugin comes with all the features of Disqus plugin plus additional options. Website owners can decide how to load comments (on the scroll or on mouse click). It allows you to lazy load videos in posts and pages. Lazy Load for Videos will replace default YouTube and Vimeo embedded videos with a clickable preview image. The video will play when a user clicks on the image. WP YouTube Lyte will lazy load videos by inserting responsive lite YouTube embeds. It looks like a normal embedded YouTube and will call video player only when the user clicks on it. Thus it helps you to improve the page performance and user-experience. 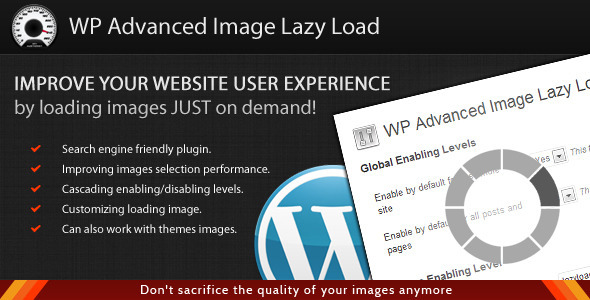 WordPress Advanced Image Lazy Load is a premium plugin from CodeCanyon. It supports all types of images- those from posts, widgets, plugins, and theme files. The plugin is search engine friendly and provides a better user experience in your website by delaying the load of images. Unlike other similar plugins, it gives you full control over the lazy loading. You can enable or disable the feature for the whole website, posts, pages, specific posts, and a certain post image. Speed Booster Pack lets you improve the loading time by activating certain features. You can change image compression level, minify and inline all CSS styles and move them to the footer, remove junk header tags etc with this plugin.